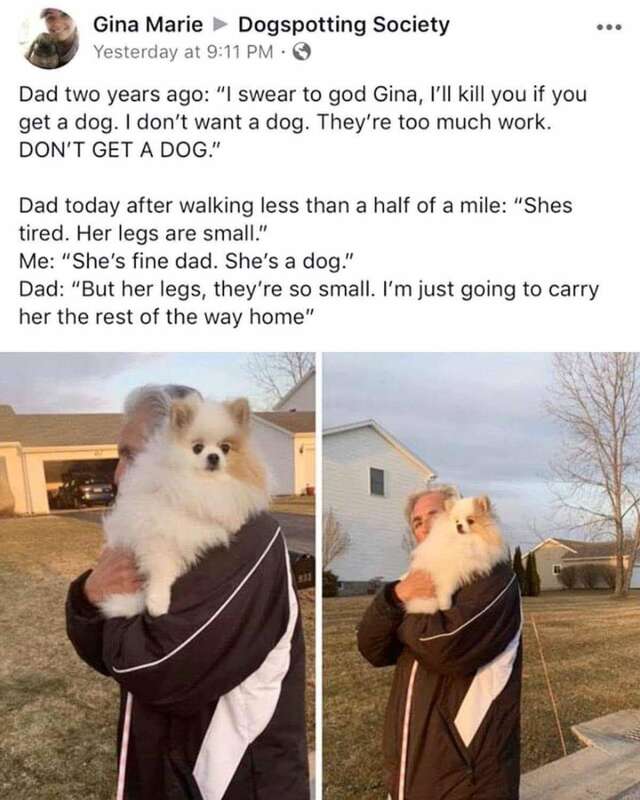 There’s no stronger love than between a dad and the pet he didn’t want. It’s not that he didn’t want a dog, it’s that he wanted to avoid the inevitable heartbreak of losing that dog. Took me almost 2 years to get another dog. For me, it’s the fact that they make promises up and down that they’re going to help take care of [insert animal here] and it always ends up being me doing the dirty work. I honestly don’t mind the heartbreak so much because the years of good memories is fair. I’ve never gotten a dog for someone else, or because someone else wanted one, so that was never an issue for me.